When it comes to marketing your practice, getting new patients may be a priority. But it’s not your only priority. Happy, engaged patients are the keys to practice growth and sustainability. Nurturing patient relationships keeps your schedule full by promoting repeat appointments and referrals. So how do you nurture your patient relationships? Learn below how email can be one of the most impactful channels for building a healthy patient roster. Building trust with patients is a large part of bringing them back to your office. You build on this trust when you serve a patient. But what about the 99.9 percent of the time they’re outside of your office? 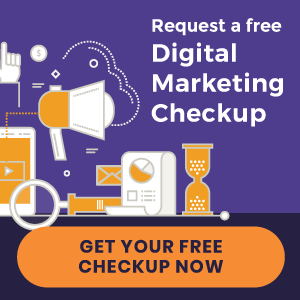 Chiropractic email marketing is a medium to target patients with specific information related to their health or your practice. It has one of the highest returns on investment. Not only is email marketing cost-effective, it’s a way to drive more website traffic, more social activity, and potentially more new patients. Heard the old adage, “Out of sight, out of mind?” Most likely, you have patients that over time become inactive. It’s not that they don’t want to see you. They’re busy. And unless they’re suffering from unbearable pain, you’re probably not at the top of their mind. That’s why they need reminders. Putting yourself in your patients’ email inboxes on a regular basis might just be the reason they pick up the phone and dial your number. Better retention: Reminds patients to schedule their next appointment by keeping your practice top of mind. More referrals: Produces new patients by encouraging current patients to vouch for you when a friend or family member seeks out a chiropractor. There are many ways to nurture patient relationships through email marketing. To do so effectively, however, your practice website should be added into the equation. Your website is the hub of all your online marketing efforts. The relationships you have with your patients are the essence of your practice. Getting feedback from them helps you find areas of improvement. Interestingly enough, surveys can also be a great online marketing tool. For one, your digital reputation is an essential component of your online presence. So it’s important to protect and maintain it. People rely on online reviews more than ever. Not only do five-star reviews build trust, they seem to have an impact on Google rankings. Of course, acquiring a steady flow of five-star reviews isn’t easy. One way to do so is through new patient surveys. Sending emails to new patients immediately following care can encourage them to review your practice online. For instance, the Perfect Patients New Patient Survey automatically sends an email to new patients. The email will link to a page where the patient can fill out a brief survey. After providing their answers, the patient will then be able to write a brief review of their visit. If they give positive feedback, they will be encouraged to share their experience on popular review sites like Google, Yelp, and Facebook. Staying in touch with patients is one of the most effective ways to retain them. Monthly electronic newsletters make staying in front of your patients easy. Sharing your newsletter on social media and other marketing channels also helps broaden your audience. Other than New Year’s resolution time, birthdays are a time when people tend to reflect on their health. An annual greeting to your patients reminds them that you are thinking about them. And your birthday notice might be the only one they receive all year. Now, sending out birthday greetings the traditional way can be very time-consuming. Automating your patient database with the right software eliminates the headache of manually reaching out to each individual patient. For example, the Perfect Patients birthday email feature automatically sends birthday greetings out on a client’s behalf. 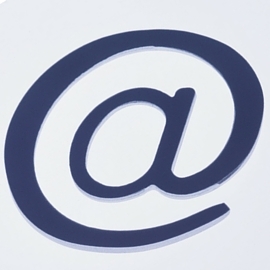 Brand your emails: All your marketing campaigns should represent your brand’s look and feel. When sending an email, be sure that your logo and colors are consistent with your website, social media profiles, and other marketing channels. Also, to improve credibility, brand your email address with your domain (i.e. contact@abcdentist.com rather than abcdentist@gmail.com). Optimize for mobile: About two-thirds of emails are now opened on a mobile device. If your emails aren’t optimized for smartphones and tablets, the rate at which patients actually read and click on your emails will suffer. Be consistent: Having a “monthly” newsletter that is sent out every one to three months won’t keep patients as engaged. Avoid large gaps in your campaign schedule so patients can anticipate and look forward to your next email. Provide value: Your patients’ inboxes are already flooded with sales overtures. Make your emails stand out by educating readers about their health and unveiling interesting new developments in your practice. Create compelling subject lines: A good subject line is compelling and tells patients why they should open your email. Remember, your subject line could be the barrier or entryway for whether your emails get opened and read. Make it readable: Text-heavy emails are magnets for trash bins. Improve the readability of your emails by including images, writing short paragraphs, using headings throughout, and writing at a lower reading level. 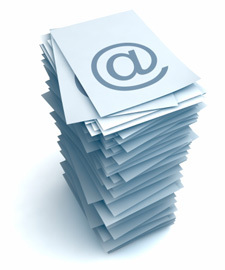 Maintain a clean list: Purchasing unsolicited email lists can spark a host of problems. It will hurt your email deliverability, which could send future emails to patients’ spam boxes. Only send emails to people who have provided their address to you. Email marketing doesn’t always get the attention that more “cutting edge” tactics like social media get. But it’s still one of the most effective ways to improve retention, encourage reactivations, and generate referrals. « Irrefutable Health and More: New Chiropractic Websites Launched!